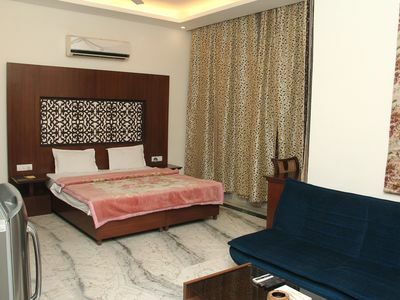 Located near the Safdarjung area, we are close to the city center near business, commercial and shopping districts. Safdarjung Hospital and AIIMS is located at a walking distance. Business hub likes Gurgaon is like 20 Kms away and Noida is located at a distance of 12 Kms. Indira Gandhi International Airport is at 12 Kms and New Delhi railway station at 10 Kms. Shopping destinations like Connaught place is just 8 Kms away and South Delhi markets is within 5-6 Kms. Connectivity to other parts of Delhi is easy as Metro station is at 2.4 Kms , AIIMS and public transport is easy accessible from outside the apartment premises. The apartment reflects the citys spirit in a harmonious blend of tradition and contemporary sophistication. 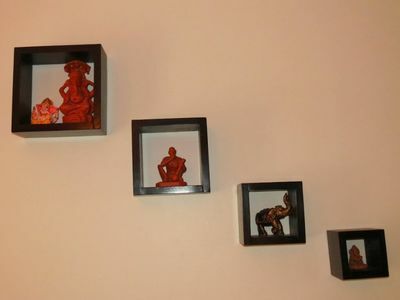 With exquisite interiors and impeccable services combine to make this the Capitals most graceful and elegant apartment. Offering corporate clients, families and leisure travelers an alternative to the hotel room. Spacious Bedrooms with hi-spec attached bathrooms, dining area, living area and a fully-equipped kitchen with all amenities required. 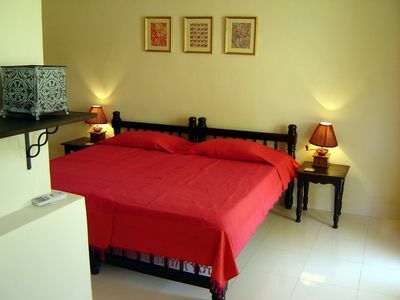 Property is divided into small blocks for easy convenience and is surrounded by the gardens. 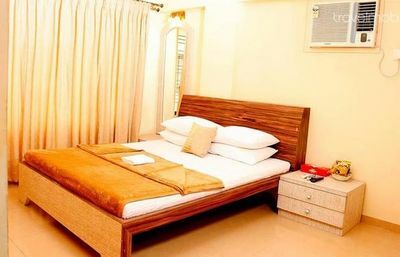 Facilities like Daily house-keeping, Complimentary Wi-Fi, 24/7 power back-up and management, Laundry services, Locker facility in the apartment, etc. We are best option for Medical tourism as well we are in walking proximity to Safdarjung Hospital and other Medicity centres in South extension area.